Whenever me and my friend r talking, we talk talk talk talk talk, but the we just don't know what to say. It happens every time! I need a solution, help me PLZ! 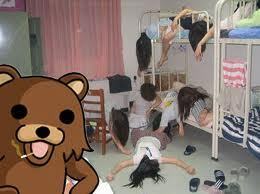 lol, where do i find this "pedo bear" ? hey! thats the bär from the game drop dead! drop dead is a game. look it up if Du want 2. its about killing bears.